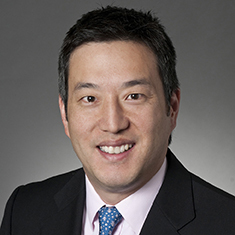 Andrew C. Wu concentrates his practice in commercial real estate law and has both private- and public-sector experience. Andy represents owners, operators and managers of office, hotel, multi-family and industrial real estate. He advises clients in sophisticated real estate transactions, including acquisitions and dispositions of assets and equity interests, joint ventures, fund formations, leasing and development. Prior to joining the firm, Andy served as Deputy General Counsel of Lower Manhattan Development Corporation, a joint New York State/City corporation tasked with revitalizing lower Manhattan in the aftermath of the events of September 11. During this time, he was extensively involved in the implementation of numerous redevelopment and quality of life initiatives, most notably the World Trade Center memorial. Andy began his legal career as an associate in the Mergers and Acquisitions group at Shearman & Sterling LLP from 1997 to 2003. During that time, he advised multinational corporations as well as distinguished individuals throughout all facets of complex deal structuring, negotiation and execution of business combination transactions.